The Action Visibility Rule filters out Actions that are created in a Configuration Folder or are by default a part of the action menu. The designer has the ability to create and hide custom and default actions. 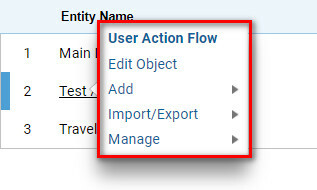 Actions are visible by navigating to an entity and then right click to view available actions. Navigate to a designer folder, select the Configuration Folder and right click. 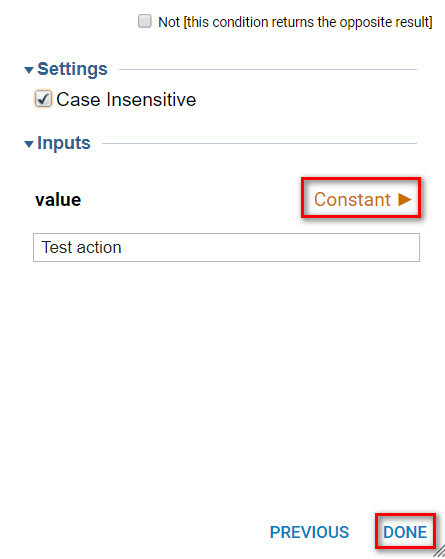 In the action, menu select Action Visibility Rule	or select from the blue action bar across the bottom of the page. 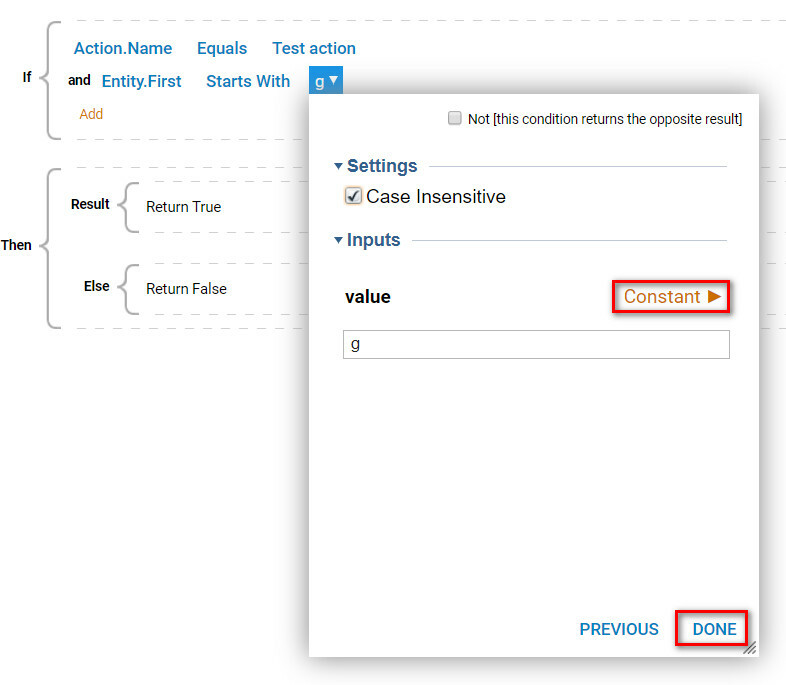 Select Action Visibility Rule. Name the rule and select Create. 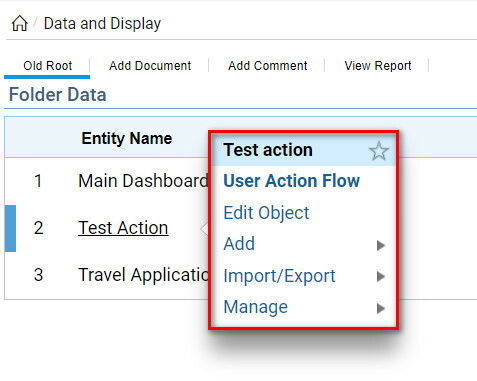 Select Create	and configure the Action Visibility Rule in the designer page. 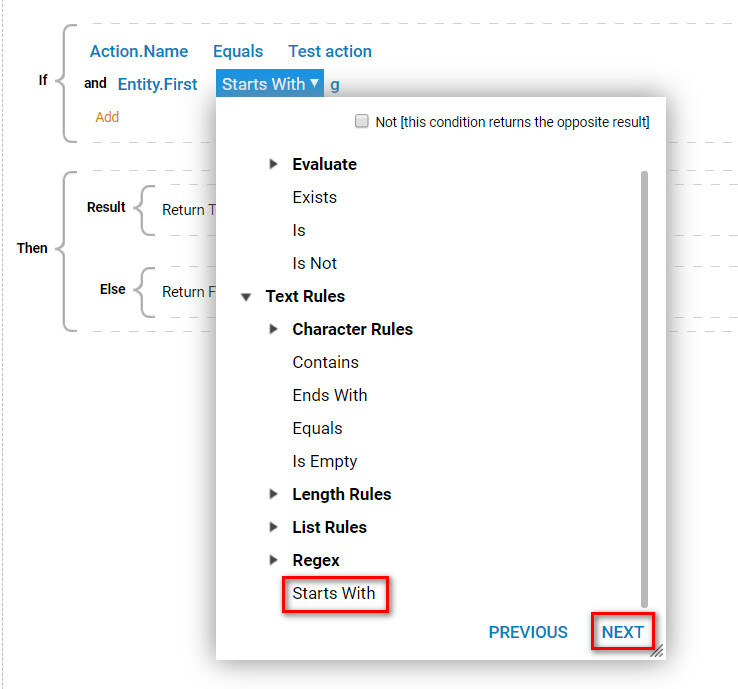 In the rule designer page, the rule is set up to evaluate the newly created action, called Test Action. 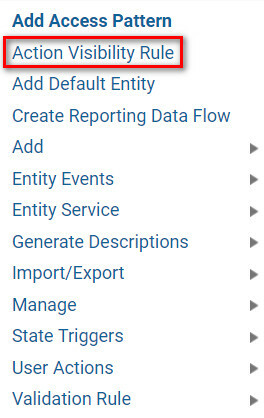 TheAction Visibility Rule	has been created from the Configuration Folder of an Entity. In this example, the Entity is called Person. 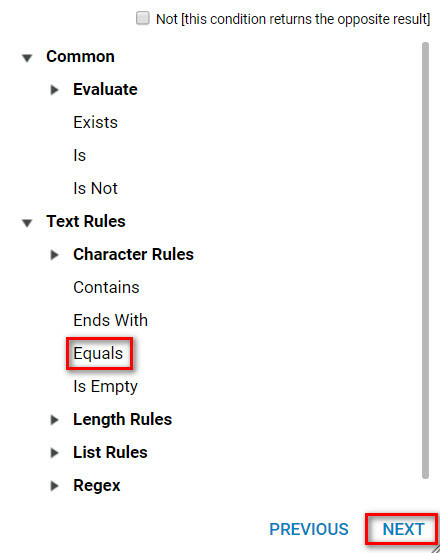 Now define what field the rule will evaluate from the Entity&apos;s structure. 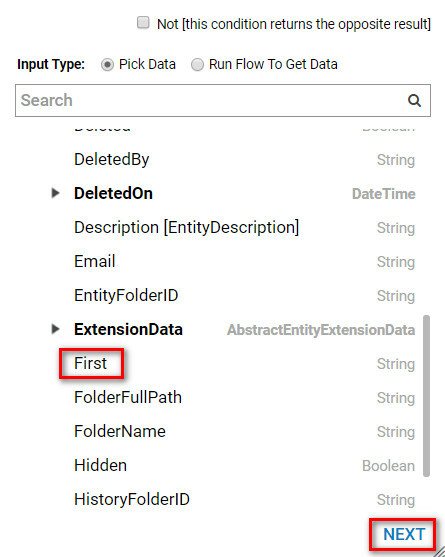 In this example, the field name First	of the Person Entity has been selected. The rule must be verified to confirm that it has been properly set up. Save and exit the Rule Designer. Right click on the designer folder and select the designer folder and the action that was created, (Test Action	). Right-click to view the available actions. Now that the Action Visibility Rule set up, it should hide	all entities Test Action	that has the letter g	in the specified field First	. Right click on the Entity	and the menu will now haveTest Action	hidden from view because Test Action has a field Name defined with the first letter starting with g	, (defined in our Action Visibility Rule). Image displays before	the Action Visibility Rule is created. Image displays after	the Action Visibility Rule is Created if it returns true, then the action will filter out this Entity. Right-click on Test Action and notice that the Action menu is no longer available.